Welcome to the Year 4 area. The Year 4 teachers are Ms Sheehan, Ms Alam, and Ms Matar. Other staff working in Year 4 are Mrs D'Lima, Mrs Pali, Mrs Chidiac, Mrs Georgiou, Mrs Leach, Mrs Stacey, Mr Cole and Mr McVie. We have an exciting year planned for your child and hope they enjoy their journey with us all. Outdoor PE is every Thursday afternoon for all of Y4. 4JS now have indoor PE on Monday mornings. These are the different cross curricular topics we learn about throughout the year. In this half term Year 4 will be learning all about the Ancient Greeks! We will be reading a variety of Greek Myths and using the characters and themes as a stimulus for our own writing. We will be exploring evidence such as pictures and artefacts to discover more about what life was like for the Ancient Greeks and the Gods and Goddesses they worshipped. Year 4 also get to take part in an exciting Ancient Greece workshop day within school. Additionally, to further extend our learning, we will also be visiting the British Museum on 10th October to see real life Ancient Greek displays and a chance to see many other interesting artefacts. During this half term our learning journey will be ‘Our local area’. Through local walks, research and personal experiences, children will be identifying places of interest in the local area, locating these on a variety of maps, and understanding more about our local area’s past, present and future. This half term we will be learning all about the Ancient Egyptians for our learning journey. We will find out about everyday life in Ancient Egypt as well as learning about the exciting Pharoahs who ruled the land, the mighty and magnificent Pyramids and Gods and Goddesses. Can you design and draw your own Egyptian god goddess? • Make a 3D model of an ancient Egyptian pyramid or temple. • Research an area of Ancient Egypt (such as famous pharaohs or the mummification process) and present your research in a creative way. This could be a poster, a fact-file, a PowerPoint presentation or any other way you can think of to display your information. Design and make your own Egyptian mask for a pharaoh. Please bring in your Challenge Homework for us to see and put on display! There will be prizes for the best efforts! This half-term Year 4 will be studying the Power of Reading text, The Miraculous Journey of Edward Tulane. This book is about the magical story of the adventures of a lost toy rabbit from a New York Times bestselling author and twice winner of the Newbery Medal, Kate DiCamillo. We will use this text to write creatively and to understand characters feelings, encouraging the children to also write descriptively and imaginatively. Can you make your own puppet of the main character in the story Edward Tulane? Can you write about an interesting journey that you have been on and draw a map? Could you research famous explorers and create a fact file of their journeys? Can you create a timeline of toys throughout history? In English, we will be using a selection of Greek Myths as the stimulus for our own writing. The children will learn how to use expanded noun phrases to add detail to character and setting descriptions. We will also be looking at different sentence openers to make our writing more interesting for the reader. Children will continue to develop their understanding and use of grammar and punctuation through separate SPAG lessons as well as within English lessons. Children will continue to develop their reading skills through Guided Reading lessons and BIG READ comprehension lessons. Children will also have time for ‘reading for pleasure’ in the class book corner. We will be writing postcards home, newspaper and non chronological reports, diary entries and poetry. Children will continue to develop their understanding and use of grammar and punctuation through separate SPAG lessons as well as within English lessons. Children will continue to develop their reading skills through Guided Reading lessons and BIG READ comprehension lessons. Children will also have time for ‘reading for pleasure’ in the class book corner and the school Library. We will be learning how to write instructions for the mummification process, creating and describing our own Ancient Egyptian Gods and Goddesses and becoming archaeologists for the day and writing diary entries to report our discoveries. Children will also write their own Egyptian themed stories involving Pharoahs of the time. Children will continue to develop their understanding and use of grammar and punctuation through separate SPAG lessons as well as within English lessons. All of our English this half term will be based on the story of the Varjak Paw. We will be learning to write newspaper reports, formal and informal letters, character and setting descriptions as well as exploring the characters and events of the book through drama. In Y4 we will be using the events and characters from Varjak Paw to support our writing. We will be exploring the characters and events through drama and visualization to help us write diary entries, newspaper reports, setting descriptions and poetry. Children will continue to develop their understanding and use of grammar and punctuation through separate SPAG lessons as well as within English lessons. Children will continue to develop their reading skills through shared texts, Guided Reading lessons and BIG READ comprehension lessons. Children will also have time for ‘reading for pleasure’ in the class book corner and the school Library. Through studying the story of Edward Tulane, children will learn how to identify with characters in a story, drawing inferences about character’s thoughts and feelings. Children will explore how the author Kate DiCamillo uses language to create an impression on the reader. The book is set in another country, exploring the themes of friendship and loyalty. Children will use these ideas in their writing of poetry, character descriptions, playscripts and autobiographies. Through studying the story of our Summer Learning Journey children will learn how to identify with characters in a story, drawing inferences about character’s thoughts and feelings. Children will use these ideas in their writing of poetry, character descriptions, playscripts and autobiographies. In Maths this half term Year 4 will be focussing on Number and Place Value. We will be investigating and exploring the place value of digits in numbers up to 1000, using lots of practical resources to help us. This will then help us to order and compare numbers and round to the nearest 10, 100 and 1000! We will also be looking at Roman numerals and how comparing their number system to our own. In Maths we will continue to develop a deeper understanding of number by exploring addition and subtraction, through practical tasks and pictorial representations. Children will be expected to solve problems, explain their methods and use a range of different methods. In Maths this term children will be building on their knowledge of addition and subtraction by exploring the concepts of multiplication. Children should be able to demonstrate their understanding using concrete resources and pictures, as well as solving abstract calculations and problems presented in a variety of different ways. 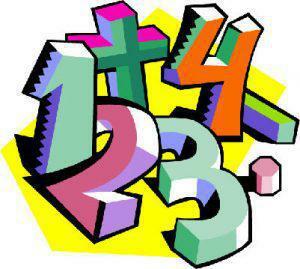 This half term in Maths children will be relating their knowledge of multiplication to learn how to divide. They should be able to apply their knowledge of what division means to solve problems and explain their mathematical thinking. Children will learn to tell the time using analogue and digital clocks and measure and calculate perimeters using different units of measure. years to months; weeks to days. In Maths this half term children will be building on their previous learning of measures by finding the areas of shapes. We will also be learning about fractions and how these relate to division. We will continue to use concrete resources and pictures to help us with our learning and gain a deeper understanding of these concepts. In Maths this half term children will be building on their previous learning from the past year, working on securing their knowledge and understanding of the new methods they have been taught. This half term the children will be learning to. identifying the value of the digits in the answers as ones, tenths and hundredths. This first half term we will be learning about Electricity. As part of this topic we will be learning about what electricity is and its dangers, as well as creating our own simple circuits! In our Science lessons we will be learning about ‘Living things and their habitats’. Through exploration of our local area and environment, we will be able to group, identify and name a variety of living things in their local and wider environment. We will also be learning about how environments can change over time and the danger this can pose to living things. We will also be learning about food chains, the digestive system and the functions of our teeth. In this topic children will be investigating how we digest our food and the organs involved in this process. This half term we will be continuing with our Science topic of ‘Humans including animals’ and learning in more detail about the functions of each organ in the digestive system. We will make models and recreate the digestive process before writing stories about the journey of a piece of food. In Science this half term our topic is ‘Sound’. 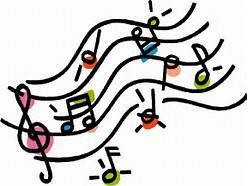 We will be learning all about how sounds are made, what pitch and volume are and how different sounds are made and changed. This half term our topic is ‘States of matter’. Here we will be comparing and grouping materials together, according whether they are solids, liquids or gases. Children will review online safety rules and how to behave respectfully online & the importance of private passwords. Children will develop their presentation skills with PowerPoint and Photo Story 3. We will be learning how to code this half term! Children will be introduced to variables within coding and will continue to learn how to use the internet safely and develop their word processing skills. In this coding unit pupils will combine their understanding of using time events and variables in code. They learn how computers use repetition and loops to do things over and over again (and again!). Children will look at artwork from Ancient Greece. They will discover that all of the pictures tell a story and we have learnt lots about the Ancient Greeks from their art including lots about the Olympic games. They will design and create their own Greek vases. We will be creating our own landscapes of the local area using different materials and in DT we will be constructing famous London landmarks. There will opportunities for us to develop our photography skills as we explore the local area and study local artists and photographers. Children will be designing and creating their own masks of an Egyptian god or goddess. With the use of clay, children will recreate the Rosetta stone, writing a message using Hieroglyphics. We will be sketching using written descriptions of Iron man and recreating scenes from the book in different mediums. We will also be creating our own Iron Man silhouettes to retell the story. Children will be using Dave McKean’s illustrations as inspiration for our pictures. We will use charcoal and pencils to draw scenes from the book in the same style as the illustrator. We also created a whole class collage from our pointillist paintings of the Varjak Paw cover. In Design and Technology this half term we will be designing and making our own puppets, based on characters in Edward Tulane. We will also be exploring different artwork depicting journeys and using the illustrations by Bagram Ibatoulline to recreate our own. 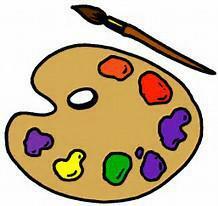 In Art and design we shall be exploring different works and techniques of artist who have painted portraits and landscapes over the years. Children will try to recreate a piece of work linked to their Learning journey and using their own techniques to their final piece. Children will learn about life in Ancient Greece such as homes, work and leisure activities. They will research the Ancient Greeks through a variety of sources including books and artefacts. They will learn where the Ancient Greece period is on a timeline and will use an atlas to locate where Greece is on a world map. Children will learn about the local area and how it has changed over time. They will look at different homes around the world and use an atlas to locate these homes. Children will be learning about the Location of Egypt, the River Nile and why it was so important to the Egyptians. They will be researching how the Egyptians lived and looking at their timeline in a little more detail. 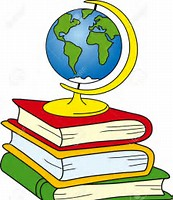 During International week each class will be studying a different country around the world; the location, traditions and famous landmarks and people. This half term in our humanities lessons we will be developing our map skills and exploring different journeys worldwide. This will be linked to research of famous explorers and their journeys. This will be linked to our Learning journey, researching (using ICT) countries involved in the world cup and some history linked to this. Exploring the history of the circus, where did it all begin? Traditional tales, researching stories from around the world. Children will look at the Italian composer Tarquino Merula. They have been listening to a composition called ‘Chiaccona’, extracting notes, patterns and scales used. They will transfer this knowledge into creating melodic ostinatos in their music groups, and using prior knowledge of rests/silent beats. This half term the children have been thinking about sounds they might hear in their local area. They will create ‘sound stories’ using a range of instruments to tell a story about a walk in the local area. Children will discuss why we study about different religions and compare beliefs and festivals among the six main world religions. They will also study the beliefs and festivals of the Ancient Greeks. This half term in RE we will be studying places of worship, locating different buildings of faith within our local area and exploring the insides of each in a little more detail. This Spring we will learn about the connections between various religions, covering holy books and concentrate mainly on Judaism and Christianity. We will learn about how the teachings within Holy Books can influence our actions. We are continuing to study places of worship, including mosques, synagogues, churches and temples and have written guides and descriptions explaining the features of each. 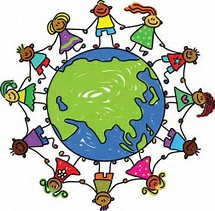 In RE this half term we will be exploring a range of religious stories and sacred writings about God, the world and how we should treat it and human life. We will be comparing different religious beliefs and will understand the similarities and differences in the answers faiths give to questions and the ways in which faiths express and interpret ideas. This half term we will be concluding our studies with Hinduism and Sikhism. Exploring their places of worship, objects and the importance of their faith. Children will be learning how to introduce themselves and talk about themselves. 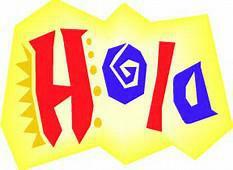 Why not get your child to introduce themselves in Spanish to you at home! This half term we will be learning how to talk about our family in Spanish. This half term we will be learning how to order breakfast food and drink in Spanish. 4JS are also learning about objects within their classroom in Spanish, 'Mi Clase'. We will be learning how to say different parts of the body in Spanish and how to describe and say different habitats in Spanish. This half term we will be learning how to say pets in Spanish. We will also be learning how to say when our birthdays are and how to describe the weather in Spanish. This half term we will be learning how to say pets in Spanish. We will also be learning how to say when our birthdays are and how to describe the weather in Spanish. Your child is expected to have appropriate PE and swimming kit with them for every session. Indoor PE this half term is ‘Healthy, Active Lifestyle’ Children will learn how to warm up and cool down before exercising and create their own games for keeping fit. Outdoor PE is ‘Invasion Games’ and the children will be learning skills to play Basketball. Indoor PE this half term is ‘Healthy, Active Lifestyle’. Children will learn how to warm up and cool down before exercising and create their own games for keeping fit. In outdoor PE sessions we will be focusing on developing our skills in football and hockey. We will be learning how to play with increased speed, accuracy and control. 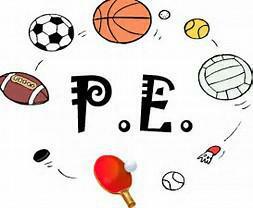 Indoor PE this half term is ‘Healthy, Active Lifestyle’ and we will concentrate on gymnastics..Children will learn how to warm up and cool down before exercising and create their own games for keeping fit. In outdoor PE sessions we will be focusing on developing our skills in tag rugby. We will be learning how to play with increased speed, accuracy and control. Indoor PE this half term is dance. In 4KW and 4EO children will be creating their own dance sequences in the style of cats. In 4AV children will also be creating their own dance sequences based on the events of the first chapter of the Iron Man. In outdoor PE sessions we will be focusing on developing our skills in cricket. We will be learning how to throw and bowl with increased accuracy and control and be will practising our catching and batting skills in mini games. Indoor PE this half term is gymnastics. Children will be learning how to perform a range of rolling movements with consistency and fluency. They will also be combining actions to make sequences. In outdoor PE children will be developing their skills in athletics. This year children will expected to continue to practise their times tables and spellings each week in addition to the homework in the homework books. This goes out on a Tuesday and is to be returned on a Monday. Children should aim to read a book at home for pleasure every night. When your child has read a book, please encourage them to write a review. Spellings are out with the homework on a Tuesday and should be back by the following Monday- children will be tested on Friday. 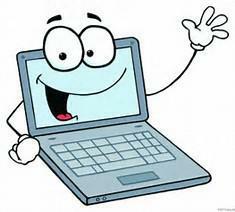 If you look on the Children's Page on the school website, you will find useful links to spelling activities and games.